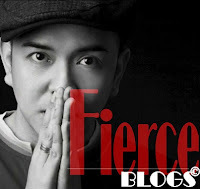 So, what exactly is the science behind the hot body and healthy skin of Ruffa Gutierrez? It's called Stem Cell Lipo; Belo Medical Group uses a state-of-the-art liposuction technique that not only lessens body fat but also makes the procedure more comfortable, giving you a tighter and perfectly-sculpted summer body. And in line with the Stem Cell technology, Belo Med has discovered procedure that safely transfers extracted stem cells from a person’s own lipo-ed fat to the skin, face and neck. It helps regenerate cells, repair damaged tissues and delay ageing to make you look dramatically younger. In short, the body fats that you want to get rid off from can be strategically injected in your face to make it look younger and fuller; like how it was when you were a lot younger. As Dr. Vicki explained, "When you're young you have lots of collagen in the face and when you hit 40 (yrs old), you have 50 percent of what you had when you're 10. 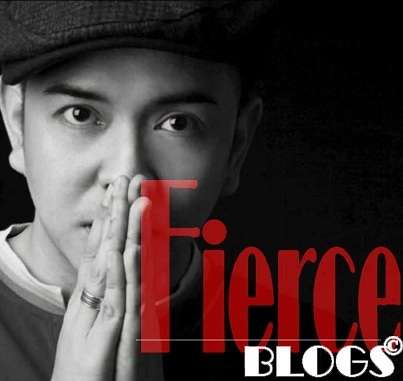 When you look at somebody who's young, ang ganda ng mukha, it’s like a juicy fruit and when they grow older, (it changed) from a grape to raisin so we have to infuse stem cells." Now, I can't wait to try this procedure! I'll sure blog about my experience. If you want to know more about Stem Cell Lipo by Belo, call their hotline, 819-2356 (BELO). 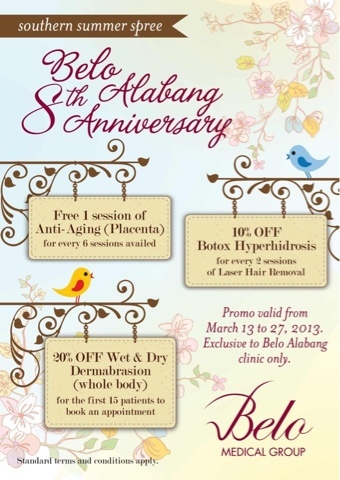 By the way, Belo Med Alabang branch is celebrating their 8th anniversary. Check out the promo they have in store for you.